Although Steadicam has made great differences, there are many restrictions to the detriment of current photography needs. 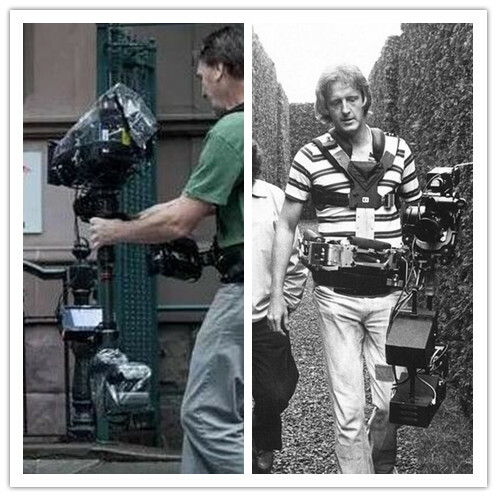 Such as Steadicam is too big to be used for narrow scene, and too heavy for long shot. 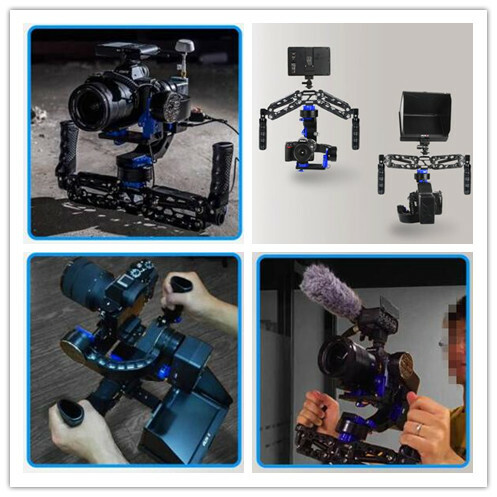 And the fatal weakness is the difficulties for beginners to start in a short time trial, users must take a long time of training to familiar with Steadicam and use it well. With wrong posture, it is counter-productive to keep stable. Still, usually we need to spend a long time on Steadicam for adjustment and balancing. 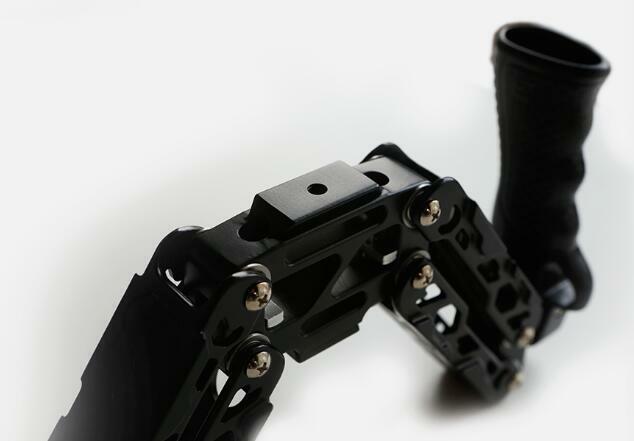 Turned the standard notion of 50-year Steadicam’s structure, 5-axis spring arm is Nebula’s original design, inspired by the damping system of F1 racing cars. The effect of double spring arm in contraposition is both rebound and absorbing. But the mass of stabilizer and camera appropriately maintains inertial. 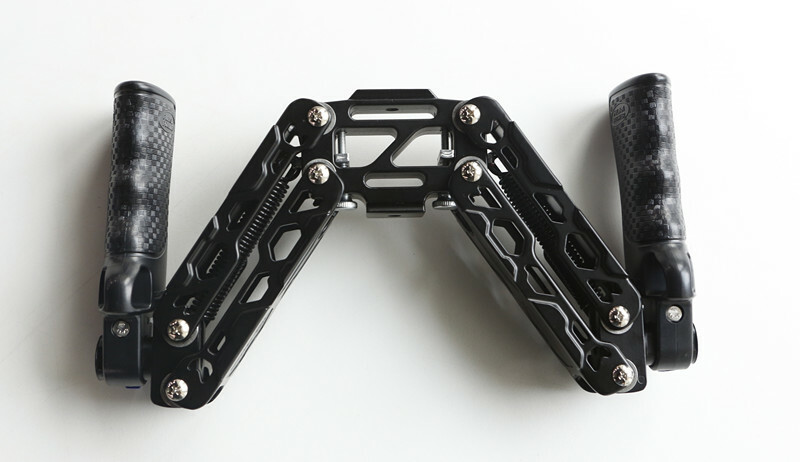 Except the intentional tremor, the two spring arms can absorb any vibrations and bounces under payload acting on the vertical axis. With this kind of buffer, reduces vibration, retards speed, makes shooting more smooth even facing hard bumps. 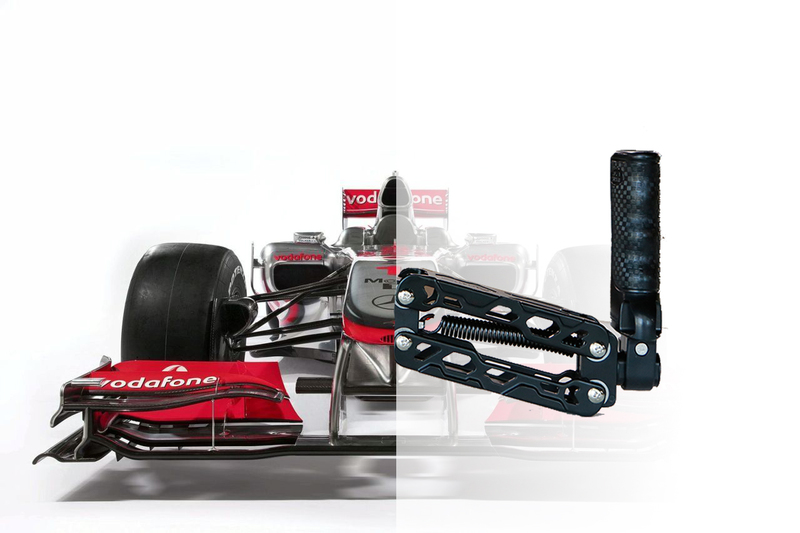 They are just like the vehicle suspension system, on the one hand isolates road noise, bumps, and vibrations, on the other hand provides enough sustenance for stabilizing car body while making a turn. Besides vertical axis, with different spring tension, the two spring arms are also able to filter part of the vibrations on horizontal axis. Two dovetails are added on spring arm, to show the flexibility of combinations. The standard 1/4 screw hole also makes it easy to carry most of the photography accessories. Every detail we designed is for filmmakers in search of 2 “P”s: professional and possibilities. Double spring arm in contraposition turns the standard notion of spring arms in line, in order to spread bounces caused by photographers’ step while moving over two handles. Thus perfectly reduces the jitter and jerking and improves users’ manipulation of stabilizers. all parts are NOT made of metal. For example, the handles. _OZ Thank you for your help to point out, which is really write not accurate enough. I correct it.